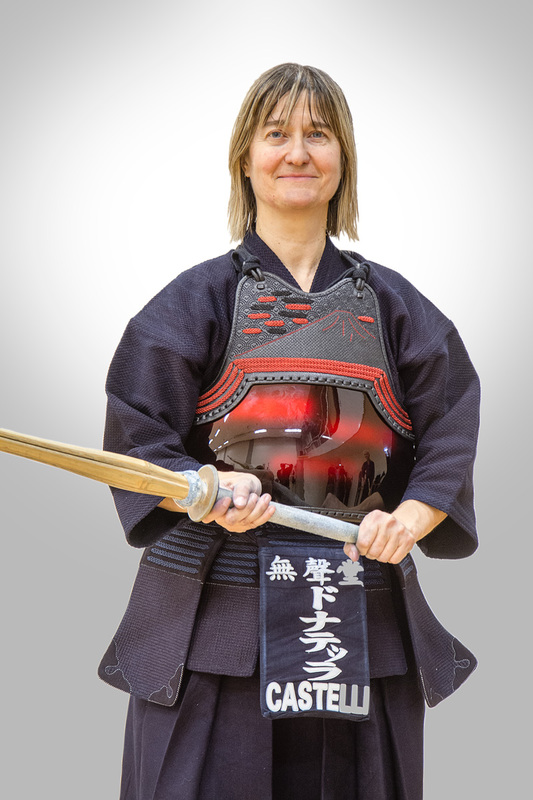 Donatella Castelli started practising kendo in 1985 in Italy and has been training in all the countries she has lived in (Germany, Japan, Netherlands). She was a member of the Italian National team for 14 years and she was President of the Italian Kendo Confederation. Castelli sensei has been the first and currently only, non-Japanese lady to attain the rank of seventh dan in the world. She regularly travels to teach in seminars and dojo around Europe. She is international referee and has been selected several times to referee the European Kendo Champioships and major international tournaments. Donatella firmly believes that the social value of kendo is just as important as the moral and technical one. She is one of the founders and administrators of World Kendo Network (WKN), the social network community which now counts more than 14,000 members worldwide.